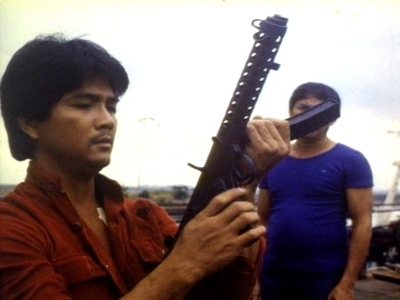 Using the Filipino-movie Hatulan Si...Totoy Angustia (1984, Reginald King) as source with new action footage of the titular element of ninjas wrapped around it as per their usual technique, IFD's The Ninja Squad is more notable for the goofy tone conjured up on Godfrey Ho's side of the production. It goes outside the usual and seemingly rigorous idea of how to craft wraparound footage and entertains well while the Filipino-movie struggles to escape its standard plotting and budget. 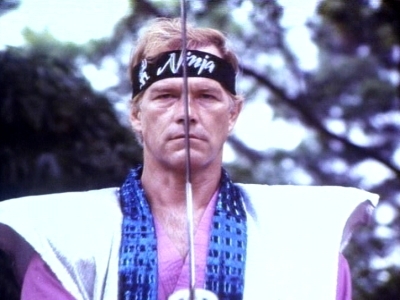 Getting tone right from the first sight of Richard Harrison in a pink ninja outfit but also through the idea of how to incorporate Billy (looking like a young adult but dubbed like a child), this is opening training montage that then gets slapped with a 10 years later card and hence Godfrey has string between the different chunks of footage combined into a new movie. It speaks more of IFD's awareness of trying to craft fun and it indeed is... even before Ivan The Red is introduced. The gritty surroundings used as lower class ones for its characters, the Filipino side tries to use this to their advantage by portraying even these conditions as having organized (and ruthless) crime hovering above it. As a ignition to a story, it certainly looks the part and there's nothing wrong going for a revenge angle to it. Our lead even displays good martial arts technique but the original isn't aiming for such a display and leans more towards dull gunplay the longer the movie runs. No style can of course produce a shocking realism but this isn't the movie for it and they only rig actors up with squibs for select parts of the endless finale on among other places an abandoned boat. Nothing that can generate edge and punch. No, it's in Godfrey we trust to bring this shaky ride up a notch on the ol' IFD-rating ladder. Because there's enough new ideas here concerning ninja conflict, ideas lead to tone and tone leads to awkward, hilarious dialogue as Ivan The Red is shown challenging ninjas once per month. It's brief but the action choreography still comes with decent enough exchanges and acrobatics. 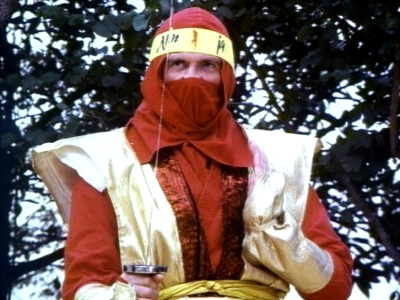 Add to this ninja death threats served up in the form of boomerangs, a frisbee used as a deadly weapon during the finale as well as a slightly longer chunk of action choreography with Harrison (and doubles) and The Ninja Squad ends up shining more than it doesn't.